Our experts will take care of your health and relaxation. In the hotel area you can try various activities good for relax and health at once. 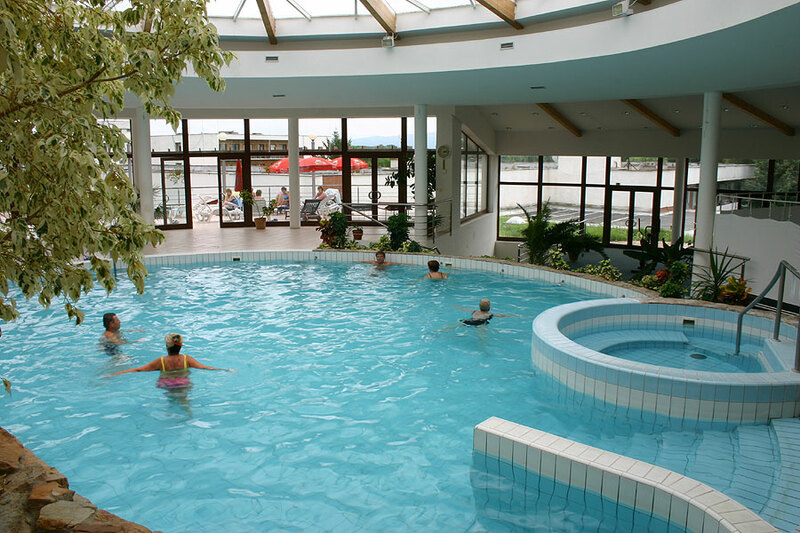 Visit our pool complex, where we also offer sauna, classic massage and whirlpool. Outside you will find a well-kept clay tennis court with a tennis rackets and balls rental, as well as bicycle rental by means of which you can enjoy the beautiful nature all around. We recommend you to try coffee or other drinks in the hotel bar with a summer terrace, where a small dance party with live music is usually held twice a week. The hotel also has a beauty salon and a pedicure. Payments for hotel services can be made in cash or by credit card. We ensure transport of our guests on request (for a fee). A guarded car park (for a fee) is available for motorized guests. Near the reception you will find free Internet zone. Medical - rehabilitation procedures prepared especially according to your needs and performed by qualified medical staff. The procedures are given on the basis of medical examination and usually on working days. You can look forward to dry heat, massages, sparkling baths and much more. A hotel pool (28°C) with a summer terrace and sunbeds is available for all guests. The swimming pool includes a 36°C seating pool with warm water. The pool complex also offers sauna, classic massage and whirlpool. Get exclusive deals and learn about our new activities by subscribing to our newsletter!